It’s beginning to look a lot like Christmas! Think you know everything about Christmas? Think again! Take a cheeky peek at these 14 little-known Christmas facts! 2. If you got all the gifts from the song The Twelve Days of Christmas, you would receive 364 gifts in total. 3. You’d probably have to use your artificial Christmas tree for up to 20 years for it to be more environmentally friendly than buying a real tree each year. 4. The oldest Christmas markets in the world started in Munich, Germany, around 1310. 5. Surprisingly, the Christmas carol Jingle Bells was originally written for Thanksgiving. 6. 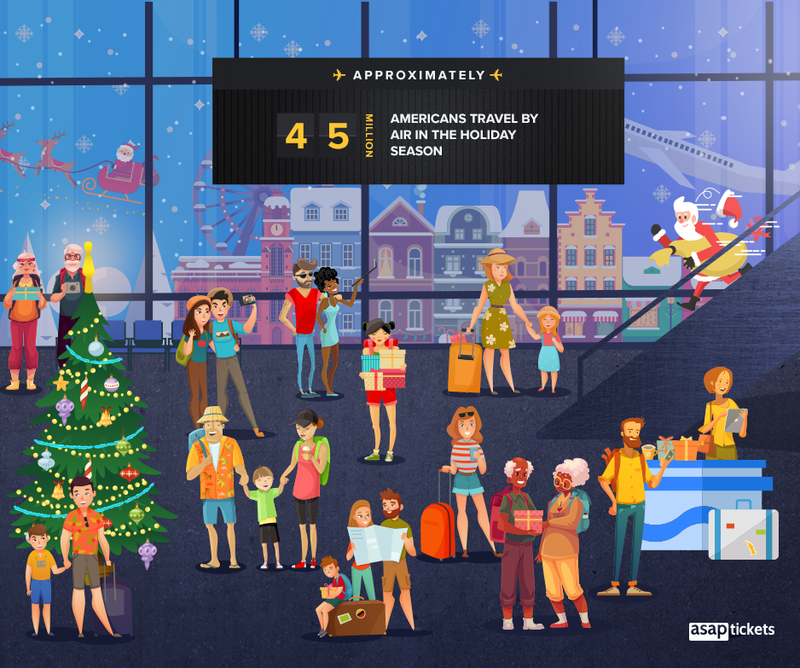 Approximately 45 million people travel each year for the Christmas season in the US. 9. Black Friday is not the busiest shopping day of the year! The busiest days are the last Friday and Saturday before Christmas. 10. Real Christmas trees have been sold in the US ever since 1850. They can take up to 6-8 years to grow. 11. 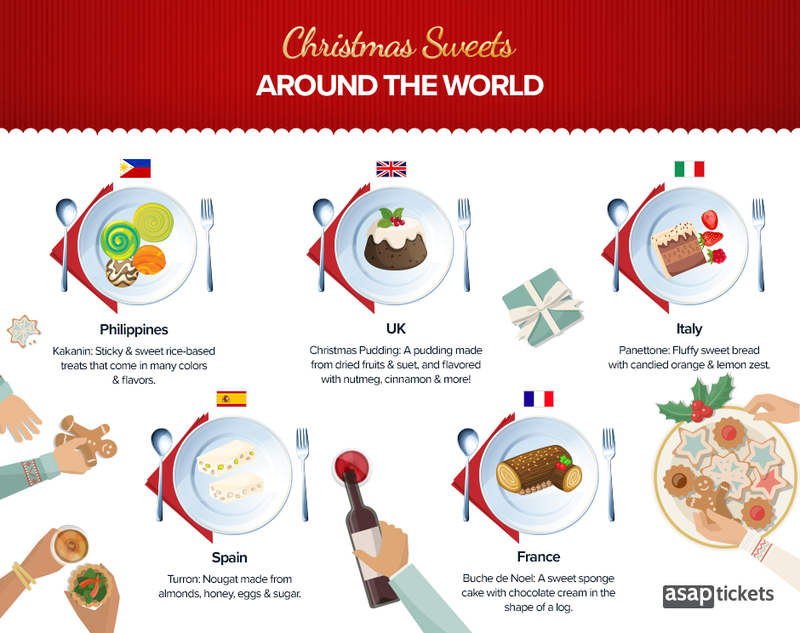 There are more types of Christmas food than you think! 12. Belgium holds the world record for most lights lit on a Christmas tree – 194,672. 13. A 122 foot (37m), 91-year-old Christmas tree in Woodville, Washington is the tallest living Christmas tree in the world. 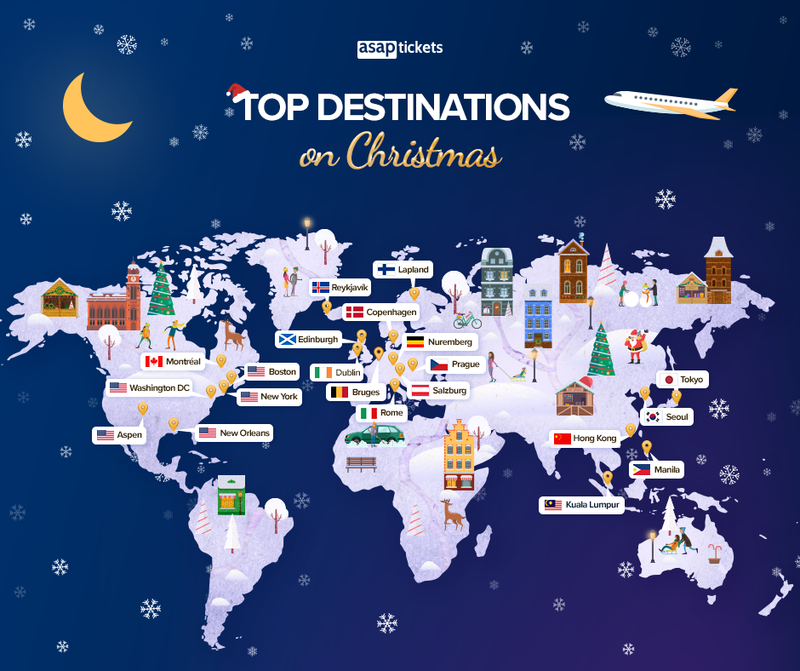 Do you know any interesting Christmas or holiday season facts? Share them in the comments below! Travel safe and stay tuned for more travel tips from the ASAP Tickets team. 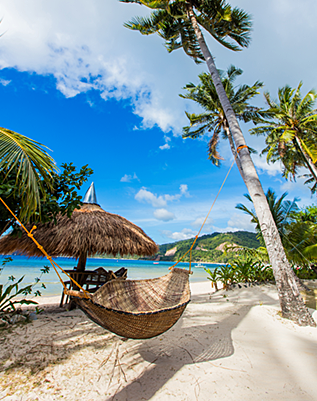 Our travel agents can find the best last-minute flights if you would still like to travel for the holiday season! Call at 844-300-7983 for a free price quote!